Ready to map out your upgrade path from AX, NAV, GP, SL, or CRM? Let Sunrise help you achieve your business goals with the Microsoft Cloud. 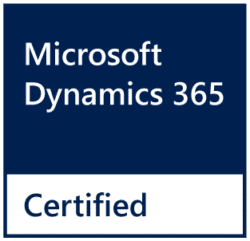 If you are curious about upgrading to Microsoft Dynamics 365—where would you start? With Sunrise, a top Microsoft Partner, of course! Scheduling this workshop is an important next step in learning how Microsoft has gone all-in with the cloud and how your strategic plans can adjust to make the most of it. First of all, you'll get a high-level briefing on where the product is going and how your company can benefit. Furthermore, you'll hear stories of other Sunrise customers that have either started or completed their transition. As a result, your team's imagination will run wild with breakthrough ideas. Together, we'll hone in on what's most important to meeting your business goals. This session is key for getting the facts to make a decision, and align your company's vision with the new capabilities of Dynamics 365. You'll gain direction, clarity, and focus—putting you on a laser-focused path forward. When you're ready to implement, we can help you transition licenses to Microsoft Dynamics 365. The cloud makes it extremely easy to get started, when you want, how you want. And there is no better time because, for a limited time, Microsoft is offering an attractive 40% discount for existing Dynamics customers. We don't want you to miss out so le'ts get this workshop on the calendar. Simply fill out the form to the right and let us know what you're most interested in. We'll use that information to make sure you get the best experience from Sunrise.